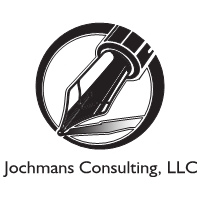 Hilary Jochmans is the President of Jochmans Consulting, LLC. She has over 15 years of political and government experience in Washington and New York. Most recently before founding the company, Hilary was the Director of the New York State Governor's office in Washington for both Andrew Cuomo and David Paterson, and the Deputy Director for Eliot Spitzer. In that capacity, she served as the Governor's chief liaison with Congressional leadership, the New York Congressional delegation and federal agencies. In addition, she worked to develop and execute the Governor’s federal priorities and lobbying strategy to advance the priorities of the state. Hilary also spent 11 years on Capitol Hill working in the US Senate for Senator Tom Carper of Delaware and in the House of Representatives for Congressman Gary Ackerman of New York, as well as on several campaigns. Hilary is a native New Yorker and a graduate of the University of Virginia and the George Washington University Law School.